The next few days will be noteworthy for many. For those of you who have tapped into your biggest fears or regrets will sense a shift in your being and outcomes you did not anticipate even a few days ago. You are learning to direct your being to continue or create your path. So it is pieces you do not remember or imagine were holding you to your present life will present themselves for review. Do you wish to berate yourself for that piece or do you wish to move beyond? That will be your decision for you have held yourself responsible for that “mistake” for years, maybe eons. You might have already noted the whispers of that deeply hidden secret holding you in a place you no longer wish to be. The question is what do you do with that memory? The answer is whatever you want. For if you wish to continue your penance, you can. Or you can move beyond that piece. You merely need to allow yourself to KNOW you no longer are that entity whether of the past, present, or future life. If you are of a religious nature, you learned from early childhood that Jesus entered 3D earth to forgive your sins. In truth, you forgive yourself for you are part of all God interpretations. It is time for you to truly understand one of your recently accepted powers. The power to forgive yourself the same way you once hoped someone outside of your being would. Such a thought will make some angry. For you accept you are part of God, the Universes, or any entity you believe more powerful than you, but you cannot yet accept that you are equal. So those of you who refuse to fully accept your new totality will continue to mire yourselves in self-blame waiting forever for someone outside of you to forgive and tell you that you are a good boy or girl. You have always had the power to forgive yourself. You merely negated that power to fit within the confines of the 3D world that depended on any and all outside forces to teach you how to live, pray, forgive – how to be. Once you declare yourself free from those self-made and self-accepted obstacles, you will allow yourself to grow into the powerful being you are. For those pieces that hold you in fear, those deepest secrets are yours to expose and clear – not God, your partner, friends, community, or family. You also believe you have the power to shame or blame others as well as yourself. Such is not true and never was. You hold people like Adolf Hitler and Joseph Stalin in contempt, telling yourself that you are better than them. Not because you necessarily are, but because you need to blame someone for your discomfort. You believe you are not as “bad” as they are so you can accept your fears. Whether that be a mass murderer, a financial or political thief, an abuser or on and on. Not because you accept their actions, but because you need them to prove to yourself that you are not as bad. In truth, all of you have backgrounds with multiple occasions for shame. Most of which you have dissected and removed. But for many, there is that one deep shame that you have been afraid to explore for you believe that one shame is too terrible to expose or express. That shame might be what you review the next few days. Not in the pain and remorse you have had about that issue, but in the sense of forgiving yourself. Knowing that forgiveness is your right and responsibility, and not that of any other person or entity. An understanding of who you were and what you felt you needed to explore at that time. The following few days will be about self-forgiveness. A trait or skill you always had but did not use when you were a 3D entity believing that there was someone bigger or better than you. Now you are concerned that this self-forgiveness, this rehash of something you are afraid or ashamed of will be too painful to contemplate. Contrary to your fears, you merely have to expose the fear and then forgive yourself. Some of you might not even know what that fear is for it might have occurred in a different 3D life. You just need to allow yourself the power to know you are the one to forgive you. You no longer need to rely on someone in the heavens to forgive you for that entity has always been you. Your 3D God concept was first experienced through religious stories you heard as a child encouraging you to believe someone had the power to forgive you. 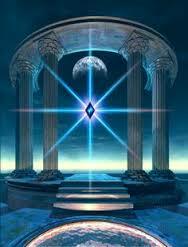 Now that you are learning to accept your power in this lifetime, it is time to quash another 3D myth. You are the only entity who can forgive you. For your life is yours. 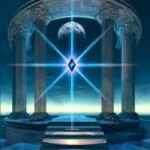 It does not belong to another and never has even though you, en masse, created that myth to allow yourself to be of 3D. Why do you suppose karma was created and that, according to your myths, once you transitioned beyond earth, you reviewed your 3D life and then re-entered to play out the karma you created? Do you see the difference in belief patterns? At one end, you must plead with God to forgive you. And at the other, you must leave earth to forgive yourself only to replay a similar role in reverse before you can forgive yourself and allow others to exit that storyline. In a sense, the two forgiveness concepts are not compatible, and in another, they are completely compatible. For indeed, in both scenarios, you are not strong enough to forgive yourself while of the earth. Such has never been true. Allow that deep shame to expose itself and know that you are the only entity who can clear that pain and always have been. The difference is you are starting to believe you can do so while of the earth. A large step forward indeed. So be it. Amen.